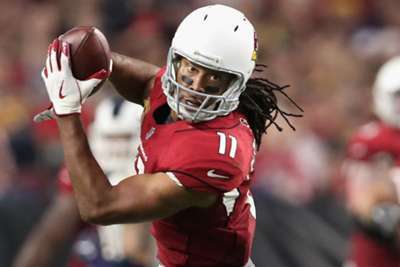 Arizona Cardinals head coach Steven Wilks is adamant star wide receiver Larry Fitzgerald will be fit to play against the Chicago Bears. Fitzgerald has been struggling with a hamstring issue after leaving last week's 34-0 rout to the Los Angeles Rams early. The Cardinals' offense may be the worst in the NFL this season, but they will at least have future Hall of Famer Fitzgerald on Sunday. While still limited in practice, Wilks told reporters on Wednesday: "Larry will be ready to go Sunday, no question." "We wanted to make sure we give him an extra day," Wilks added when asked about Arizona's decision to hold him out of training. The Cardinals (0-2) have scored just six points this season, 17 less than the next worst offense – the Buffalo Bills with 23 points scored. Fitzgerald's availability will be an added boost for the Cardinals, who face a hungry Bears defense which allowed just 41 combined points to the Green Bay Packers and Seattle Seahawks.